Typical resulting gases are: H2S, H2, CH4, CO, Inert Gases, O2, solvents such as xylene, alcohols, acetone, toluene. 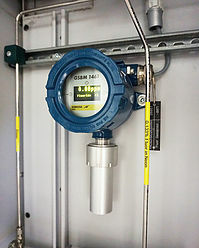 KIMESSA ATEX certified gas monitoring systems can prevent the uncontrolled release of gases in Ex Zones 1 and 2. Gas leaks may develop due to the failure of seals, damaged pipes & fittings, accidental impacts, etc. Early detection is critical. 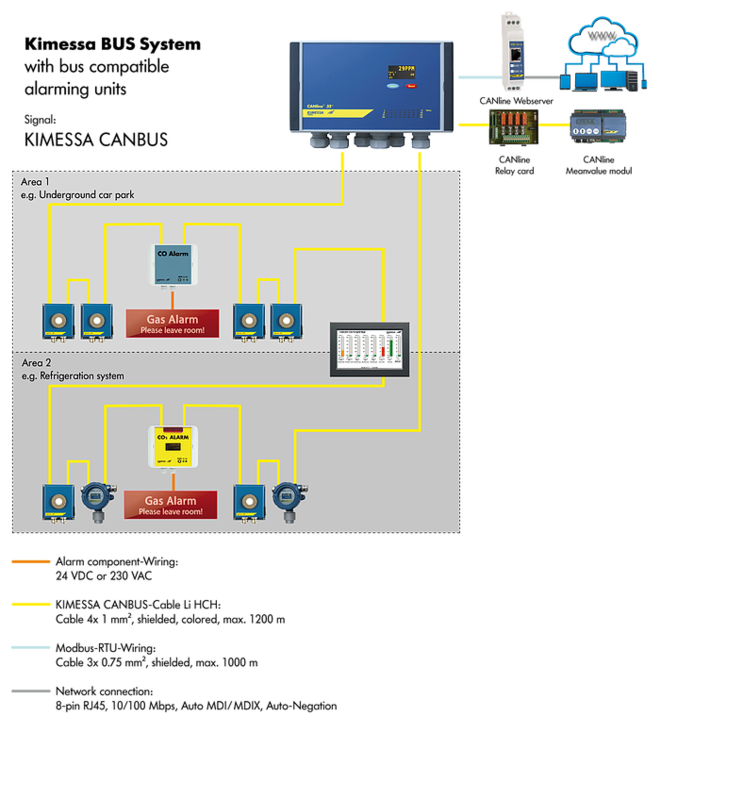 The activation of a gas monitoring system can shut off the gas supply, shut down a process, alert personnel by local sounders, signal a BMS and or fire panel and log the gas alarm by time and date in the CANline monitor. 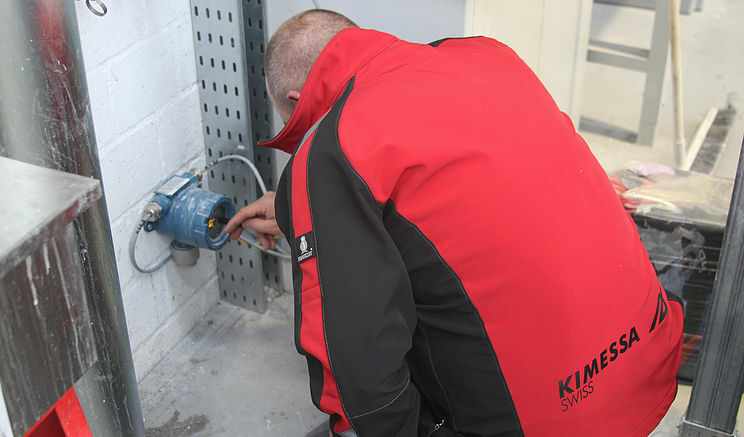 For reliable monitoring, KIMESSA gas detectors are designed for zone 1 or zone 2. The BUS mounted CWED 68 programmable sounder beacon with display or the Touch Screen displays can be installed at the entrance to the heating plant room allowing for easy viewing of the ambient gas levels with colour coded bar graphs to facilitate easy viewing of the gas monitoring status. All measurement data and alarm events are recorded. The Ex rating of the monitoring zone determines the type of sensor used: The KSP 121 Ex is used for zone 2. For Zone 1 the explosion-proof gas sensor GSPM121 Ex (pellistor) or the GSIM 1100 Ex (infra-red) is used. The gas monitor triggers a strobe light and an alarm sounder to signal a gas alarm. Strobe lights and audible alarms should be installed close to the hazard zone to alert plant operatives and the safety officer to evacuate and or proceed with caution. Touch screens can be mounted at the entrance for visualization and rapid gas monitoring data checks. All measurement data and events are recorded and can be reproduced and analysed at all times. The gas monitor, gas detectors and alert components systems from Kimessa offer comprehensive safety and precise measurement. A correctly configured gas monitoring system combined with the high quality of KIMESSA gas measurement and control devices guarantee the sought after level of safety. 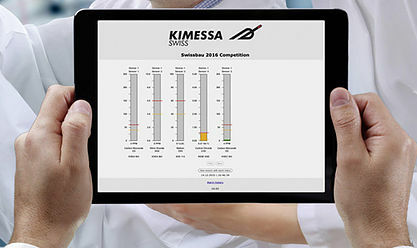 The technical expertise of KIMESSA and their representatives, combined with years of practical experience ensure the end user achieves an optimum solution. We can also offer unique and optimized products for industrial applications, such as the type-tested BUS-Ex Transmitter with an extremely reliable infra-red measuring principle. BUS installation provides cost savings up to 50% against conventional star cabling. Our detectors are extremely stable, welded stainless steel IP 65 (water and dust proof) protection class. All detectors are available as analogue or BUS in Ex or non Ex. The Ex-protected detectors are also available in chromium steel on request. KIMESSA warning systems offer solutions such as our programmable BUS type repeater panel (CWED 68) suitable for installing in non-Ex zones. In addition also LED signs and sounders can be integrated into the BUS with significant cost savings on cabling. A wide range of accessories are also available such as emergency power supplies, water resistant caps and pile-driving device.